Munmun Dutta is one of the most popular as well as beautiful actress of Indian television industry. She appears on a very popular TV show which is Tarak Mehta Ka Ooltah Chashmah. 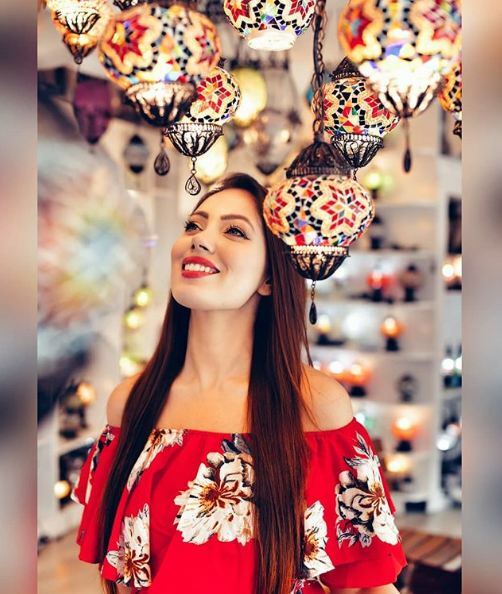 So that, here we present the full details about her personal as well as professional life, for example Munmun Dutta age, husband, biography, family, height & more. Munmun Dutta is a very famous Indian television actress as well as model. She works on a very popular comedian show which is Tarak Mehta Ka Ooltah Chashmah, i.e; TMKOC and she plays the role of Babita Iyer in this long-running Hindi show. Munmun completed a Masters degree in English. Well, she was living in Pune when she participated in fashion shows. And after that she moved into the Mumbai in 2004 when she made her first TV debut in in Zee TV’s serial Hum Sab Baraati. Even though she worked on movies and her first film role was was in Kamal Haasan’s Mumbai Xpress. According to the resources, she also expressed in an interview that she wanted to become a doctor. Even she has been actively involved in social causes. In recent times, she wrote an open letter to the Indian Education System criticizing education patterns of India. She has also been sponsoring education for her hair dresser’s daughter and also her house maid’s kid. 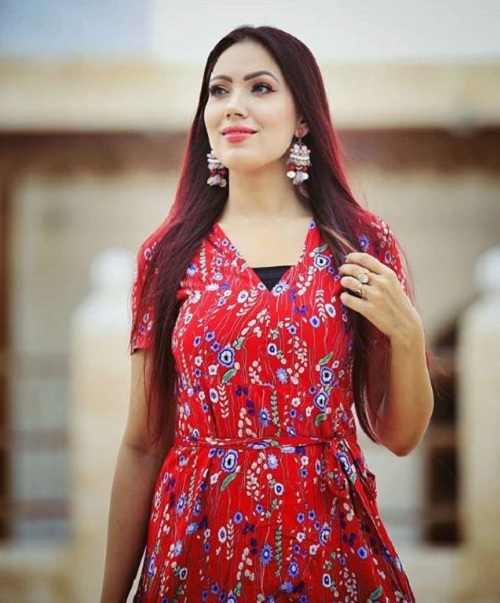 Best Known For Mumun Dutta is best known for her role Babita in TMKOC. Honestly, I am a great fan of my own self. I love myself too much. Honestly, I have a very high metabolism and that’s the reason I do not put on weight too much. But, having said that it is very important to keep our self fit and healthy and so I do not myself taken for granted. Generally, I prefer eating healthy; especially home-cooked food, but let me be very honest; I eat a lot. I do not do dieting at all. In fact, for me dieting are having healthy food and most importantly doing workout. Without workout it is impossible to remain fit. So, whenever I go to the gym, I have a routine of half an hour cardio and then I get into strength training and circuit training. Sometimes, I also mix it up with Kick-Boxing and weight training. Weight training is very important to tone my body. I work out for almost 1 hour 30 minutes. Generally, when I am not shooting, I wake up late. First thing in the morning is I drink a lot of water to start up your system. After a little gap, I take some soaked almonds. Then I make a smoothie and I drink that. And yes, I do not like a green tea at all. I have some fruits along with it. My lunch consists of roti, salad, vegetables. Being a Bengali, I love rice and I eat lot of it. In fact, I can’t live without rice. Dinner is very light for me. But yes, I would be lying if I say that I do not eat after 8 pm. Honestly, I sleep late and so I love eating. I prefer eating light food in the night and work out hard later. My weakness is sweets, rice and hot chocolates. Be happy, drink lot of water, eat healthy, avoid junk food and sleep as much as possible. She is trained in classical music. As a child, she dreamt of becoming a doctor. She started her acting career in 2004 with the TV serial Hum Sab Baraati. She even participated in a few fashion shows before entering the entertainment industry. She is an animal lover. Munmun is a trained dancer and has also appeared in some music videos. She loves travelling and wants to see each and every part of the world. She is a supporter of girl child education and she is also paying for education of her maid’s daughter. Munmun also share her bad experiences with the men around her in her childhood after inspiring through the #MeToo campaign in Twitter.